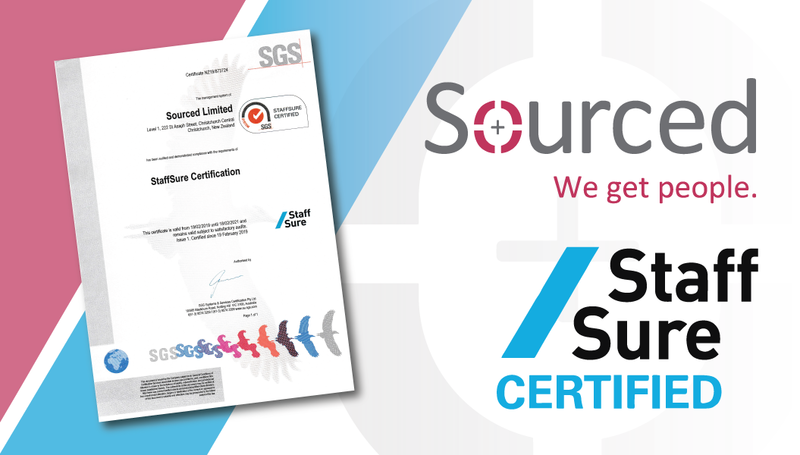 Sourced is proud to announce that we’re officially StaffSure certified! Developed by industry experts, StaffSure is a certification scheme which makes it simple for organisations and workers alike to find and partner with reputable Workforce Service Providers (such as recruitment agencies) for all their recruitment needs. Through independent auditing against industry-specific standards, StaffSure is able to protect the broader integrity of the recruitment industry throughout New Zealand and Australia. Whether you’re looking for the market’s top IT talent, or need support in your job search, you can be confident in our ability to work to the highest industry standards. To read more about the StaffSure certification scheme, click here.